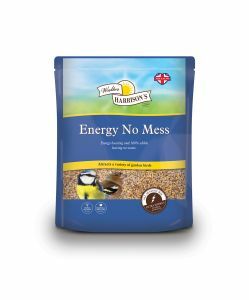 Energy No Mess Wild Bird Seed A blend of high quality, energy boosting seeds. This husk free, no mess mix means no waste. Attracts a variety of garden birds. Can be fed from a seed feeder, bird table or on the ground.